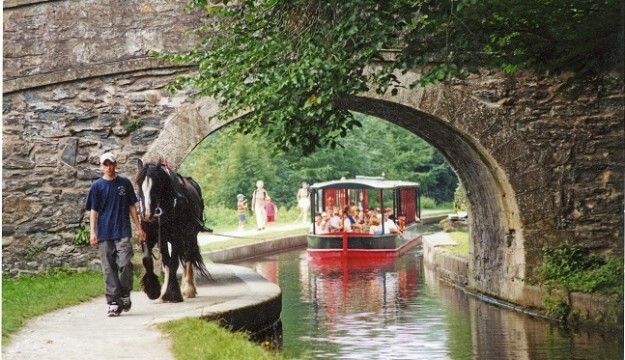 Horse Drawn Boat trips have been operating from Llangollen Wharf since 1884 and it is now one of the major attractions in the North Wales market town of Llangollen. 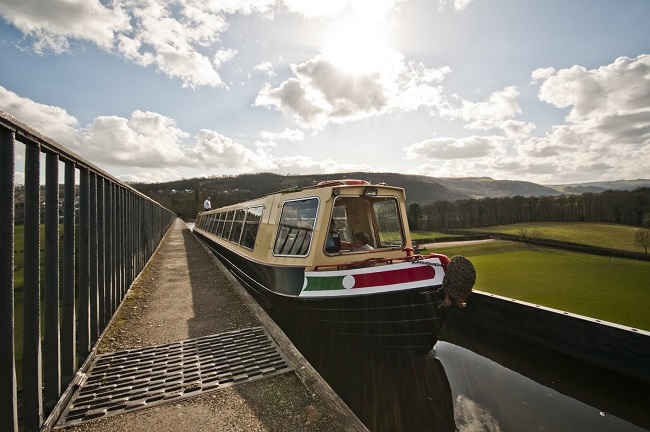 For over 100 years visitors have been experiencing the pleasure of boat trips on the Llangollen Canal which is a unique experience in Wales. Watch the fish swim lazily by in the clear water delivered fresh from the River Dee as your boat glides gently through the Welsh mountains. Welsh Canal Holiday Craft’s all weather wheel chair friendly boats will enhance the experience. The boats are modern purpose built with under cover and open seating. There is a 45 minutes duration horse drawn return trip from Llangollen Wharf which can be operated at any time to suit Group organisers between 10.00am and 3.00pm trips. The trip is just long enough to allow your passengers to relax and unwind and enjoy a traditional mode of transport. The boats can accommodate up to 52 passengers and Group Rates apply for 20 or more. Group organisers couriers and drivers go free of charge. The Group Price for the 45 min trip is £6.50 Adult. £3.50 Child. The Group Price for the 2 hour Trip is £12.00 Adult £7.50 Child. 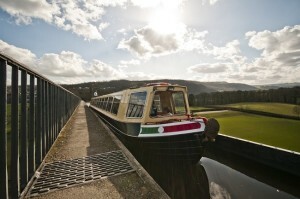 Motor Boat trips through the Llangollen Canal World Heritage Site and across Pontcysyllte Aqueduct also operate from Llangollen Wharf. These are 2 hour one way trips. The first trip leaves the Wharf at 12.15pm and arrives at Froncysyllte at 2.15pm. The return trip leaves Froncysyllte at 2.30pm and arrives back at the Wharf at 4.30pm. Food and light refreshment can be served on these trips. The Motor Boat can accommodate 52 passengers and organisers and couriers go free of charge. Note drivers cannot go on this trip as it is a one way trip and they need to drop off and pick up their passengers at different locations.